Andrus was pulled from Monday night's game against the Athletics due to a bruised right hand. Texas can breathe a sigh of relief, as Andrus appears to have avoided a significant injury despite taking a 94 mph fastball off his throwing hand. He'll likely avoid a trip to the injured list given the nature of the issue. 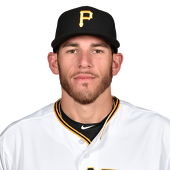 Godley allowed four runs on seven hits with four walks and two strikeouts across four innings in a no-decision against the Pirates on Monday. 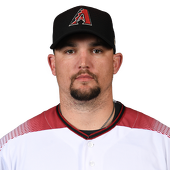 The Diamondbacks got their starter off the hook, scoring 11 runs in the seventh and eighth, but Godley didn't pitch all that well. 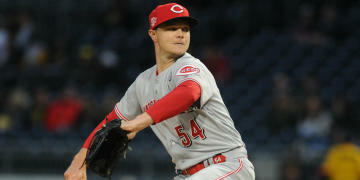 While he did take a step in the right direction with keeping the ball in the park Monday, his four walks were a season high, and he now has 14 walks versus 22 strikeouts in five outings. He is also 1-1 with a 6.67 ERA and 1.59 WHIP in 27 innings. His next scheduled start is Saturday at home against the Cubs. Zunino went 1-for-2 with a walk and a two-run home run in Monday's 6-3 win over the Royals. Back in the lineup after a three-game stint on the paternity list, Zunino celebrated the birth of his first child by ripping his first homer of the year 425 feet to center field in the seventh inning. 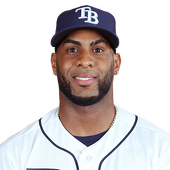 The catcher's .208/.250/.396 slash line is right in line with last year's performance, but now that he's gone yard for the Rays once, more power should quickly follow. 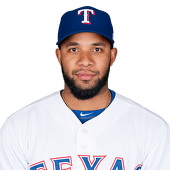 Andrus was lifted from Monday's game against Oakland after being struck by a pitch on his right forearm, Evan Grant of The Dallas Morning News reports. Andrus managed to remain in the contest for a few innings after being struck by a pitch, although he was pinch hit for in the seventh inning in a key situation. He'll be considered day-to-day until more information on his injury is released by the Rangers. Musgrove allowed three runs on five hits, struck out five and walked two across six innings in a no-decision during a 12-4 loss against the Diamondbacks on Monday. 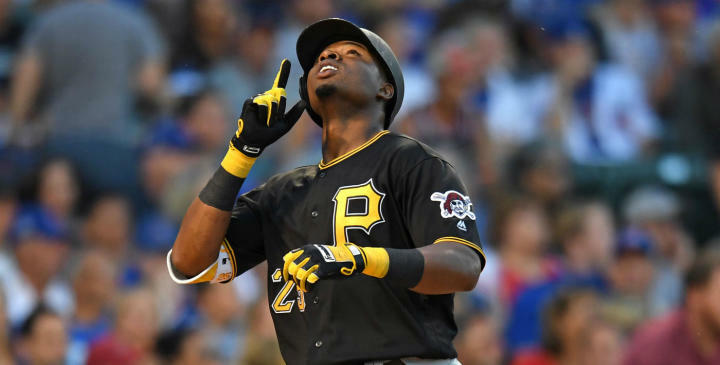 Believe it or not, Musgrove was in line for the win even after his two stranded runners scored following his departure, but the Pirates bullpen blew yet another lead -- this one in dramatic fashion, giving up nine runs in the sixth and seventh. And that doesn't count the two inherited runners they led cross the plate as well. Musgrove has put together an excellent start to the season, but he is just 1-1 through four starts. 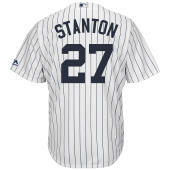 He also has a 1.59 ERA, 0.85 WHIP, .180 batting average against and 26 strikeouts in 28.1 innings. His next start will be against the Dodgers on the road Saturday. Diaz went 1-for-3 with a home run and two RBI in Monday's 6-3 win over the Royals. 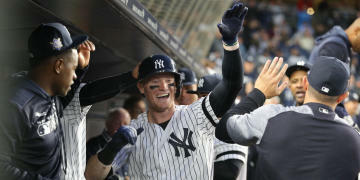 His eighth-inning shot off Scott Barlow gave Diaz six homers on the year, half of which have come in the last six games. 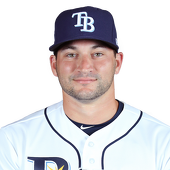 The 27-year-old has boosted his slash line to .289/.398/.579 with the surge, and so far the offseason deal that sent Jake Bauers to Cleveland has been a huge win for Tampa Bay. 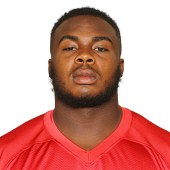 Jarrett's consent to the franchise tag all but guarantees he'll remain in Atlanta for 2019, but the Falcons' brass appear intent on extending a lucrative multi-year contract to the emerging defensive star before the July 15 deadline. This objective is evidenced by general manager Thomas Dimitroff saying back in March, "Our aim is for (Jarrett) to be an integral part of our plan for many years to come and this allows us to extend our negotiating window." 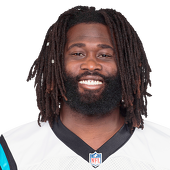 A versatile contributor with 23 tackles for loss and 29 quarterback hits over the past two seasons, Jarrett currently ranks as the NFL's fifth-best interior defensive lineman, per Pro Football Focus. His continued success will be essential to helping Atlanta improve upon a 25th-place finish in rush defense during 2018. 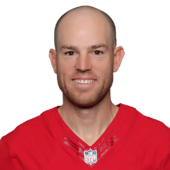 Though Gould has yet to sign his franchise tag and is skipping voluntary workouts, it appears that the 49ers have no real concerns about the 36-year-old starting in 2019. Through his first two seasons in San Francisco, Gould boasts a 96 percent conversion rate on field-goal attempts and a 93.2 percent conversion rate on PATs. Gould and the 49ers still have time to come to terms on a multi-year deal this offseason. In addition to providing a timeline for his return from January surgery, Brate revealed that he played the entire 2018 season -- all 16 games -- with a torn labrum in his hip. 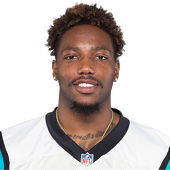 He suffered massive drop-offs for catches (30), receiving yards (289) and efficiency (5.9 yards per target), but he remained useful in the red zone with six scores on 12 chances. Brate's 20 touchdowns over the past three seasons are tied for second among tight ends, with Jameis Winston consistently throwing to his 245-pound target near the goal line. 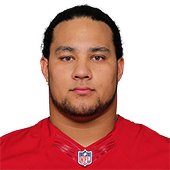 Now entering the second season of a five-year, $40.8 million contract with no guaranteed money beyond 2019, the 27-year-old expects to have a sizable role under new coach Bruce Arians, though O.J. Howard is locked in as Tampa's No. 1 tight end. Even if his rehab comes off without a hitch, Brate will have a tough time matching his target volume from 2016-17 (5.1 per game). 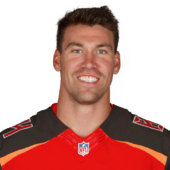 His $7 million base salary for 2019 became fully guaranteed March 17, so the Bucs would need to trade him to realize any cap savings. Jackson produced 26 points (9-20 FG, 5-9 3Pt, 3-3 FT), seven assists, three rebounds and a steal in 31 minutes during Monday's loss to Milwaukee. Despite Jackson having one of his best performances of the season, the Pistons fell to the Bucks in a 4-0 sweep. 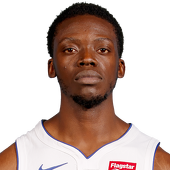 Jackson was one of few bright spots during the playoffs, averaging 17.7 points, 7.0 assists and 3.3 rebounds over four playoff outings. The veteran guard finished the season with averages of 15.4 points, 4.2 assists, 2.6 rebounds and 2.1 threes in 27.9 minutes per game. 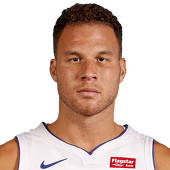 He was able to bump up his scoring average slightly over the past two years, but deferred some playmaking to Blake Griffin on the way to his worst season in terms of assists since 2013. Griffin was unable to prevent the Pistons from being swept despite a solid 22-point, six-assist performance Monday. The star forward wrapped up his second year in Detroit with averages of 24.5 points -- a career-best, 7.5 rebounds, 5.4 assists and 2.5 threes while shooting 46.2 percent from the floor, 36.2 percent from three and 75.3 percent from the line in 35.0 minutes. 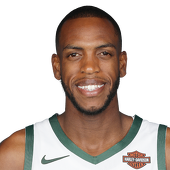 Middleton amassed 18 points (5-11 FG, 2-5 3Pt, 6-7 FT), four rebounds and an assist across 30 minutes Monday against Detroit. 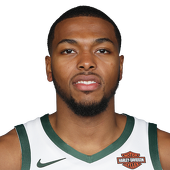 Although his stat-line was relatively muted compared to the first three Round 1 games, Middleton finished as the second-highest scorer for the Bucks, notching double-digits for a fourth-straight game. 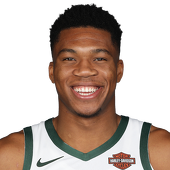 Given the fact that the Bucks easily dealt with the Pistons, it's likely that Middleton will see more than his 29.5 minutes playoff average during the second-round series in which the opponent will presumably be able to put up more of a fight. 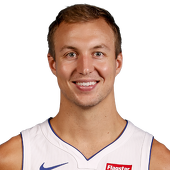 Kennard will come off the bench in Monday's Game 4 against the Bucks, Keith Langlois of the Pistons' official site reports. After starting Games 2 and 3, Kennard will return to coming off the bench with Bruce Brown moving back into the starting five. Coach Dwane Casey is making the move to provide the second unit with a little more firepower, as Kennard has been one of the few bright spots for the Pistons this series. Through the first three games, he's averaging 16.3 points and 5.0 rebounds over 33.3 minutes per game. Watson scored a goal on four shots and dished out 14 hits in Monday's 2-1 overtime loss to the Stars in Monday's Game 6. Watson was a physical force of nature, scoring the opening goal and then running rampant with the lofty hit totals. Watson produced 16 points and 109 hits in 37 regular-season appearances, and has added a goal and a helper along with (32) hits in six postseason outings. A 14-hit game has only happened five times in the regular season since 2005-06, although the record for hits in a playoff game belongs to Brenden Morrow, who tossed 19 checks on May 4, 2008. Rinne stopped 49 of 51 shots in a 2-1 overtime loss to the Stars in Monday's Game 6. 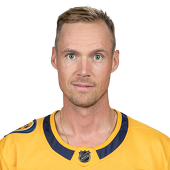 Rinne had his ups and downs in the series, allowing 17 goals over six games in the series, including nine goals over Games 4 and 5. 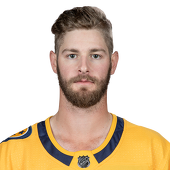 This was arguably his best performance of the playoffs, but it wasn't enough to save the Predators' season, as they lost the series 4-2. Faksa supplied an assist, four hits and two shots in Monday's 2-1 overtime win against the Predators in Game 6. Comeau scored a goal on five shots and added four hits and four PIM in Monday's 2-1 overtime win against the Predators in Game 6. 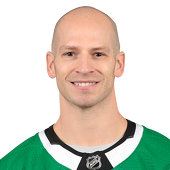 Comeau had only seven goals and 18 points in 77 regular-season games, his lowest output since he had 16 points in 2013-14, but he picked a fine time to score his first goal of this postseason run. The goal ultimately forced overtime where defenseman John Klingberg scored to seal the 4-2 series win for the Stars. It's his fourth career postseason tally in 23 contests. Seguin provided an assist, seven shots and two hits in Monday's 2-1 win over the Predators in Game 6. 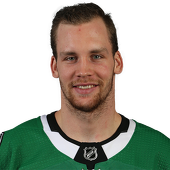 Seguin's assist started a sequence that ended with defenseman John Klingberg's overtime tally to send the Stars to the second round with a 4-2 series win. 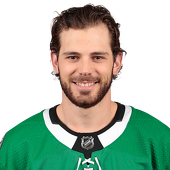 Seguin played a large part in that with two goals and four apples during a five-game point streak that began with a helper in Game 2. Seguin also pumped 31 shots on goal -- and that's with him being held without a shot in Game 4 and limited to only one shot in Game 1. 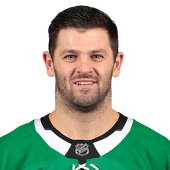 Radulov dished an assist and fired five shots on goal in Monday's 2-1 overtime win against the Predators in Game 6.